As part of the City of Perth’s food truck trial, there’s been a food truck 2-3 times a week at lunch time in Wellington Square, East Perth, within walking distance of my office. The last couple of Thursdays, my lunch buddies and I have grabbed a bite at the Comida do Sul Brazilian food truck. I’m slowly working my way through the menu and so far have tried two of their sandwiches: the Choripan (AU$10), an Argentinean-style hot dog, with spicy chorizo, homemade mayo, vinagrete (tomato salsa) and chimmichurri (a green sauce made with parsley, coriander, garlic, olive oil, vinegar and chilli) in a bun; and O Mutante (AU$12 – the ‘mutant’ tropical Brazilian sandwich) with grilled strips of salty rump steak, farofa (crushed roasted Brazilian yam), pineapple chilli sauce, garlic kale, homemade mayo, tomato salsa and chimmichurri in a bun. The sandwiches are made to order, substantial and flavoursome. Just a warning: the mayonnaise is incredibly garlicky! 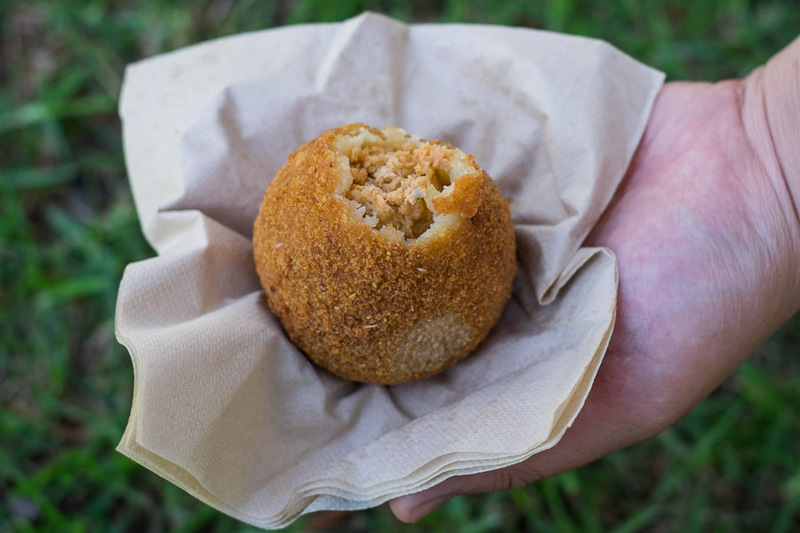 Our standard order is a sandwich plus a coxinha (co-shin-ya) – a deep-fried croquette that’s crumbed on the outside with a gooey potato dough and a filling of shredded paprika chicken. They’re usually $5 for a pear-shaped/sized snack but are sometimes sold as half a dozen minis for the same price. 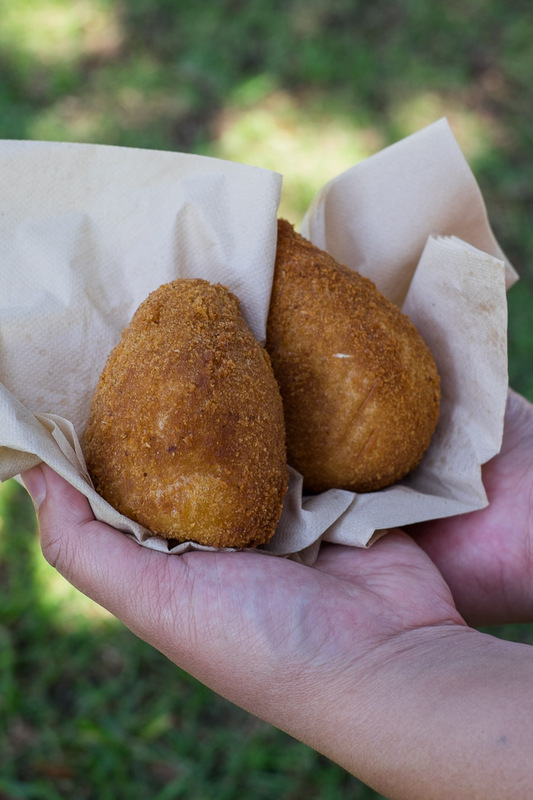 You can often get your coxinha right away and eat it while you wait for your sandwich. 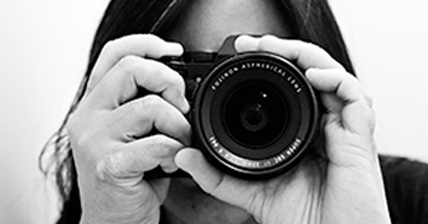 Unless it’s extremely busy, most orders usually take around 10 minutes to be prepared. There are two Comida do Sul trucks. The best way to find out where they’ll be is to follow them on Facebook or check their website for the schedule. 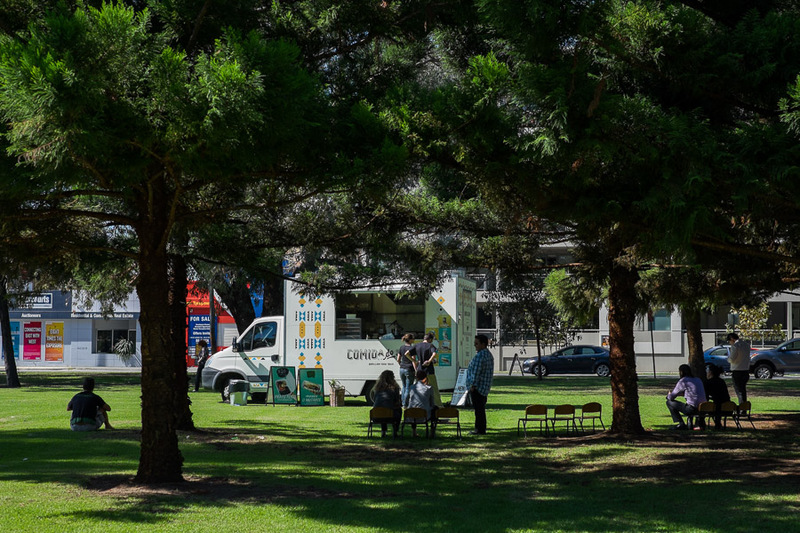 Last Thursday lunch time, for example, one truck was at Wellington Square while the other was at Curtin University as part of Curtin’s food truck program Park’d. Update: at the time of publication (Thursday 30 April), Truck One is undergoing repairs but should be back in action on Friday. The City of Perth’s food truck trial has been running since 1 February and will finish at the end of May. The trial involves 14 locations within the City of Perth and 9 food trucks. The best way to find out where the trucks will be is to follow Perth Street Eats on Facebook and follow the individual trucks’ social media accounts (here’s the list of locations and food trucks). There are a number of food truck trials being run (or have recently ended) by different councils – I’m interested to what happens beyond those initiatives and hope that support for food trucks will continue. They’re a terrific part of Perth’s food scene. 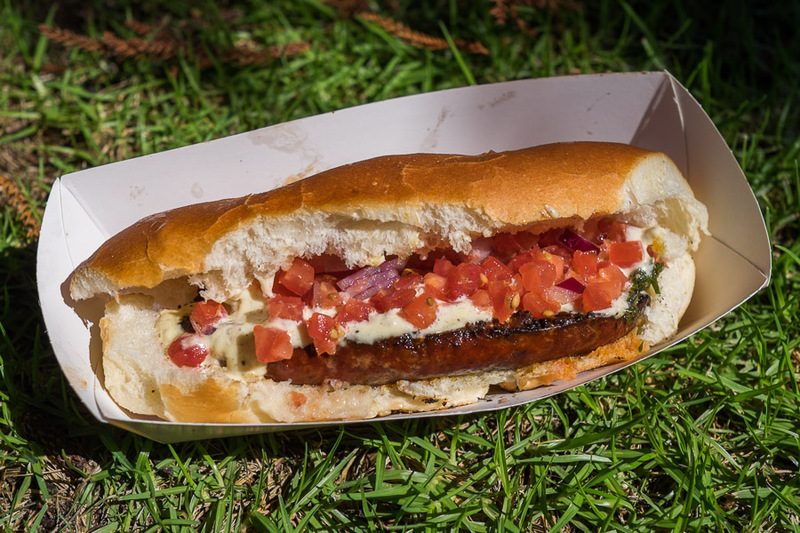 The Choripan, an Argentinean-style hot dog. Watch out for drips when you bite! 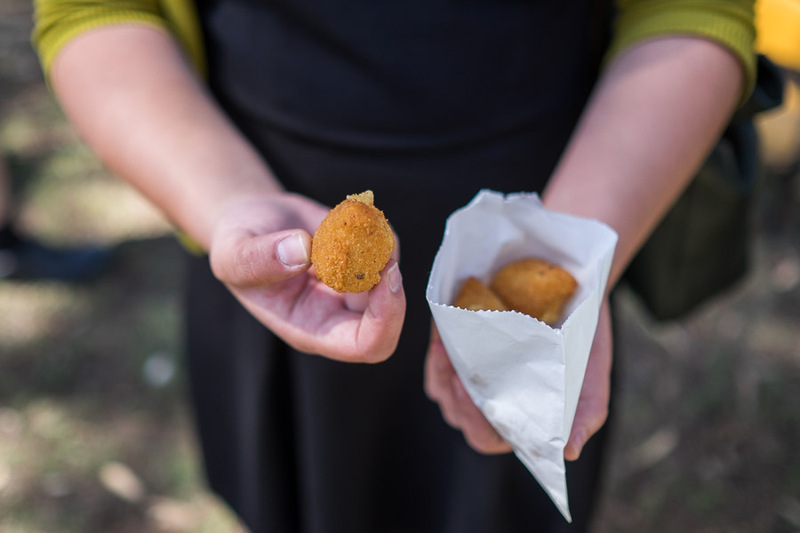 I think I prefer mini coxinhas to the regular full-sized ones but I’ll happily take them in any size. O Mutante. Some of the steak strips are fatty, which adds to their flavour. Can you believe I willingly ordered a sandwich loaded with so much greenery? Haha! Update: Also see my write-up on Comida do Sul’s Egg Prato. When Comida do Sul are at Wellington Square in East Perth, they generally park near the corner of Wittenoom and Bennett Streets. Trucks that have been at Wellington Square on different days of the week have included Braised Bros, Soul Provider and Eat No Evil. 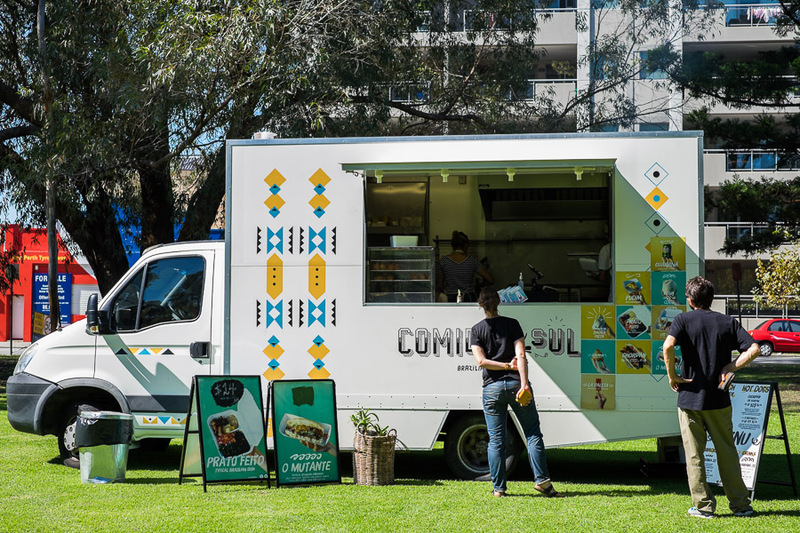 There isn’t always a food truck at lunch time in Wellington Square – it’s best to check for location updates at Perth Street Eats and the individual trucks’ Facebook pages. Update, October 2015. 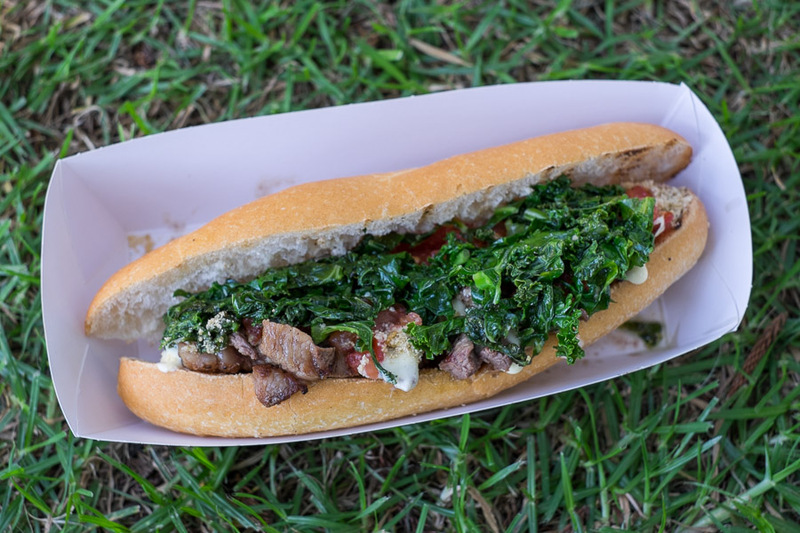 Another food truck trial was approved by the City of Perth and will run from 1 October 2015 to 1 October 2016. Once again, participating trucks (who must apply for a permit to take part) can only trade at the selected locations within the City of Perth. 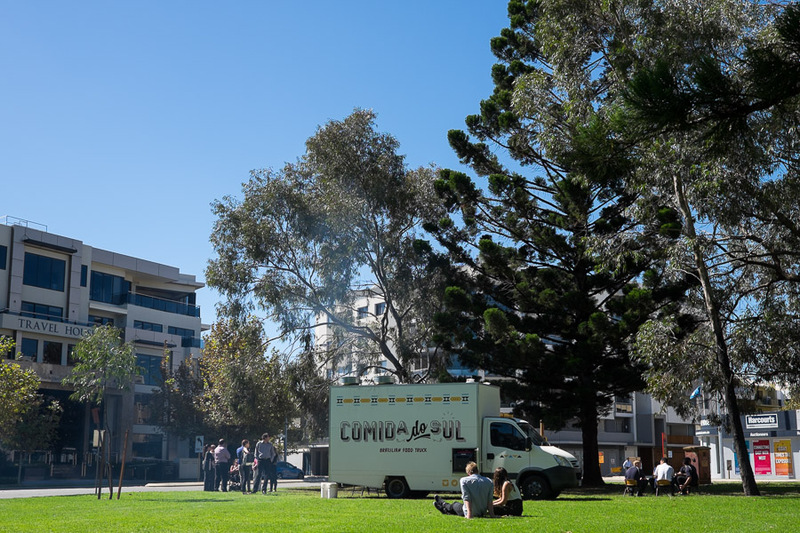 There hasn’t been an official announcement about the participating food trucks yet, but we’ve had Soul Provider Catering, Comida do Sul, Eat No Evil and others coming to Wellington Square for lunch this month. It’s been great.